With Christmas just days away, it’s time to get your New Year’s Eve plans in order. There are plenty of New Year’s Eve events happening in and around DuPage County to ensure you ring in the New Year with some fun. Start 2012 off with some good times for your family and friends! 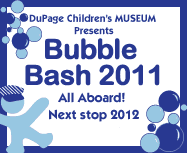 DuPage Children’s Museum Bubble Bash 2011 – All Aboard! Next Stop 2012! If you’ve never been to the DuPage Children’s Museum Bubble Bash before, make this year the start of a new tradition. This New Year’s event is the perfect way for your children to celebrate the coming New Year. The Bubble Bash starts at 9AM and ends with the countdown to noon, so the night is still wide-open for mom and dad celebrate! If you order tickets before the event, the cost is $20 ($15 for members). Tickets purchased at the door are $25 ($20 for members). 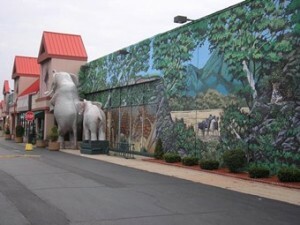 Visit www.dupagechildrensmuseum.org for more information. Bring your kids over to Safariland on New Year’s Eve for even more fun and excitement. From 5PM to 9PM, Safariland is hosting the ultimate kid-friendly New Year’s celebration. The event costs $15 per person and includes a full buffet and unlimited rides (the price for buffet only is $10)! There will be a New Year’s countdown at 8PM. Your kids will have a blast ringing in the New Year! More information is available at safarilandfun.com. Enjoy Holiday Magic on New Year’s Eve at Brookfield Zoo. Take a stroll through the zoo and enjoy the beautiful holiday light displays. Warm up with some hot chocolate while checking out some wild indoor exhibits. The Zoo Year’s Eve event begins at 6PM and concludes with an early, kid-friendly New Year’s countdown at 8PM. Abbington Distinctive Banquets in Glen Ellyn will be hosting a New Year’s eve celebration from 7PM to 1:30AM this New Year’s Eve. The event includes a 5-course gourmet dinner prepared by Executive Chef Robert Fabbri featuring a main course of Filet Mignon and Grilled Jumbo Shrimp. In addition to dinner, there will be a 5-hour open bar, a seafood bar, and a Hors d’ Oeuvres bar. Valet parking and coat check are also included. Live entertainment for the event will include The Hiline Band playing Motown and dance hits from the 70’s and 80’s. A DJ will also be on-hand to ensure you get plenty of time in on the dance floor. The cost for this event is $115 per guest. You can find more information about this event on Abbington’s website. Mullen’s Bar & Grill in Lisle will be hosting a New Year’s Eve bash featuring live music from the band Wild Child. You can show up anytime after 5PM (the band begins at 10PM). Advanced ticket purchase is only $10 per person ($20 at the door) and includes the live entertainment, party favors, a champagne toast at midnight, and a pizza buffet served at 12:30AM. There are hotels within walking distance and free shuttles to the hotels will be available for this event. Check out the Mullen’s website for more details. Head to Indian Lakes Resort in Bloomingdale and celebrate the New Year in style at this swanky city-styled New Year’s Eve event. The semi-formal party starts at 6:30PM and continues on until 1AM. Enjoy a five-course meal, 6-hour premium open bar, and live music from The Upbeat Band. You’ll also enjoy a midnight champagne toast, a balloon drop, and party favors to remember your evening at this good-time event. Top off the Big City Gala by staying the night in one of the Hilton’s upscale rooms. The price for the party alone is $296 per couple, but you can stay overnight (and have brunch the following morning) for $439 per couple. More information can be found on the Indian Lakes Resort website.